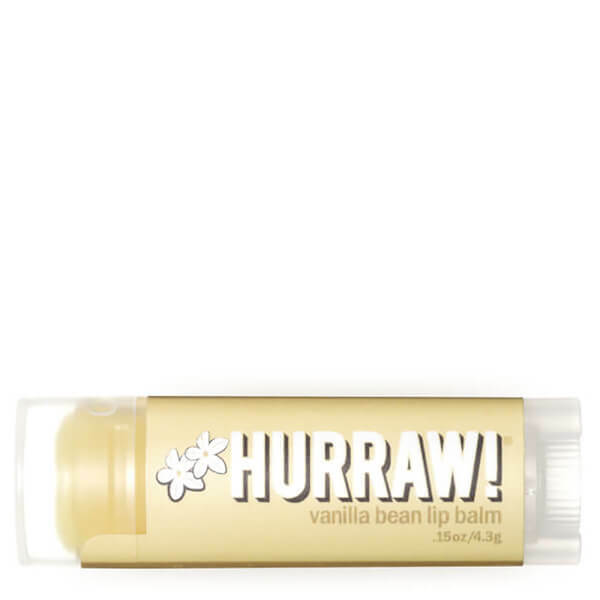 Envelop lips in a heavenly scent using the Hurraw! Vanilla Bean Lip Balm; an ultra-hydrating formula that cares for skin using premium organic, vegan and raw ingredients. Infused with tiny Vanilla Beans, the balm lends lips a sweet and dreamy scent that smells good enough to eat. The creamy formula is also fortified with Candellia Wax, Coconut Oil and Cocoa Seed Butter, which ensure lips are drenched in a veil of long-lasting moisture. Combining nourishing hydration and a heavenly aroma, the lip balm is sure to become a skincare essential. Cruelty free. Vegan. Made in the USA. *Vanilla Planifolia (Vanilla) Bean Infused Prunus Amygdalus Dulcis (Sweet Almond) Oil, +Euphorbia Cerifera (Candelilla) Wax, *Cocos Nucifera (Coconut) Oil, *Simmondsia Chinensis (Jojoba) Seed Oil, *Theobroma Cacao (Cocoa) Seed Butter, *Ricinus Communis (Castor) Seed Oil, Olea Europaea (Olive) Fruit Oil, *Vanilla Planifolia (Vanilla) Bean, Organic Flavors, Tocopherols (Sunflower). *Organic & Cold Pressed. This lip balm smells amazing and feels beautifully soft on the lips. I get really dehydrated lips in the summer which can be uncomfortable but this lip balm completely reversed that and made them feel amazing!